DAPHNE, Ala. – United States Sports Academy national faculty member Dr. Marc Margolies recently took part in the Academy’s program to enhance the training of soccer administrators in the United Arab Emirates (UAE). Margolies, an assistant professor at Presentation College in Aberdeen, South Dakota, taught the Academy’s sports facilities and events management course from 19-30 March 2017, to students at the United Arab Emirates Football Association (UAEFA). The Academy played a role in the development of the Football Club Operators License Program in cooperation with the UAEFA. The agreement between the Academy, its Emirati colleagues and the UAEFA led to the development of the Football Association Academy (FAA). The effort includes football certification programs that offer professional preparation and training designed to meet the needs of coaches, athletes, administrators and operatives in the UAE football club system. This year, the curriculum covers sports administration as well as facilities and event management. Margolies will soon travel to Thailand, where he will teach sports facilities management to students at the Sport Authority of Thailand (SAT). The Academy is conducting its International Certification in Sports Coaching (ICSC) and International Certification in Sports Management (ICSM) programs in Bangkok, programs that have been in place more than a decade. Both certification programs prepare participants for leadership roles in sport. The ICSC program includes a wide range of coaching and related administrative skills, while the ICSM program includes management topics such as sports event planning, marketing and public relations, and facilities. He has also served the Academy in Malaysia, where he taught facility planning and event management. “The teaching opportunities that the United States Sports Academy has provided to me in Malaysia, Thailand, and United Arab Emirates have benefited me immensely as both a teacher and as a person,” Margolies said. “Having unbelievable opportunities to discover different cultures and share how sports are organized and prioritized in these countries has helped expand the knowledge and understanding that I bring to all the classrooms abroad as well as back in South Dakota. 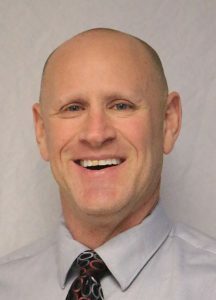 In his work at Presentation College, Margolies has taught sports facility planning, sports marketing, sports management, sports finance, and legal issues in sport. Previously, he served as an assistant professor at Northern State University and has held various coaching and management positions throughout his career. Margolies graduated with his Master of Sports Science degree with honors from the United States Sports Academy in 1991. He also has a Juris Doctorate from Drake Law School and a Bachelor of Business Administration from the University of Iowa. Approximately 50 students annually are drawn from the SAT and its affiliated sport organizations around the country to attend each of the certification programs, with a total of 100 students involved each year. Following the conclusion of the classroom portion of the program, which is provided by Academy instructors, the SAT selects the best students from each program for a special study tour of sport in America. A delegation of approximately 15 students and administrators from the SAT takes part in an educational tour of various sports organizations and venues for two weeks from coast to coast in the United States, including a visit to the Academy. Coursework for 2017 began in January and runs through June, followed by the sports study tour in September. The Academy and the SAT have a Memorandum of Understanding to extend cooperation in sports education and training through 2020. The United States Sports Academy is an independent, non-profit, accredited, special mission Sports University created to serve the nation and world with programs in instruction, research, and service. The role of the Academy is to prepare men and women for careers in the profession of sports. For more information about the Academy, call (251) 626-3303 or visit www.ussa.edu. .